This work traces the artists and photographers who—whether fascinated or repelled by prostitution in all its forms—captured the realities and fantasies of this ambiguous world. 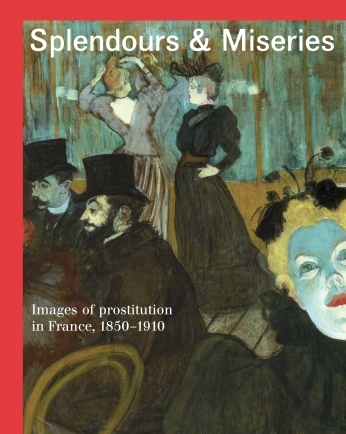 From the scandalous Olympia by Manet to Degas’s The Absinthe Drinker, from Toulouse-Lautrec and Munch’s forays into brothels to the bold figures and caricature portraits of Rouault, van Dongen, and Picasso, this book foregrounds how the shadowy domain of prostitution played a central role in the development of modern painting. In nine chapters, these paintings, sculptures, lithographs, sketches, photographs, and press clippings are given context within the moral framework of an era when prostitution was considered an unavoidable—or enticing—evil, powerfully evoking the ambivalent place held by prostitutes in the midst of nascent modernity, from the splendours of the demimondaines to the miseries of the working-girl pierreuses.